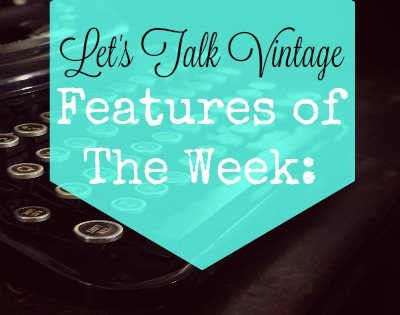 Welcome to Let’s Talk Vintage! This is where vintage lovers gather to “talk” with other dealers and collectors about old stuff! 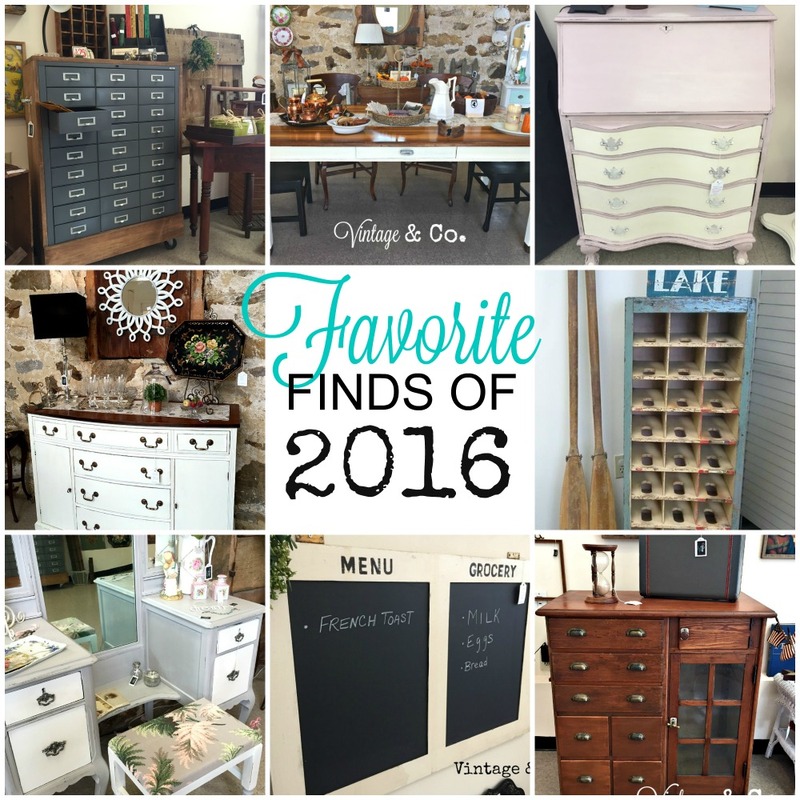 Today I’m sharing a quick look back at some of our favorite finds and projects of 2016. We learned a lot along the way in our first 8 months of business. 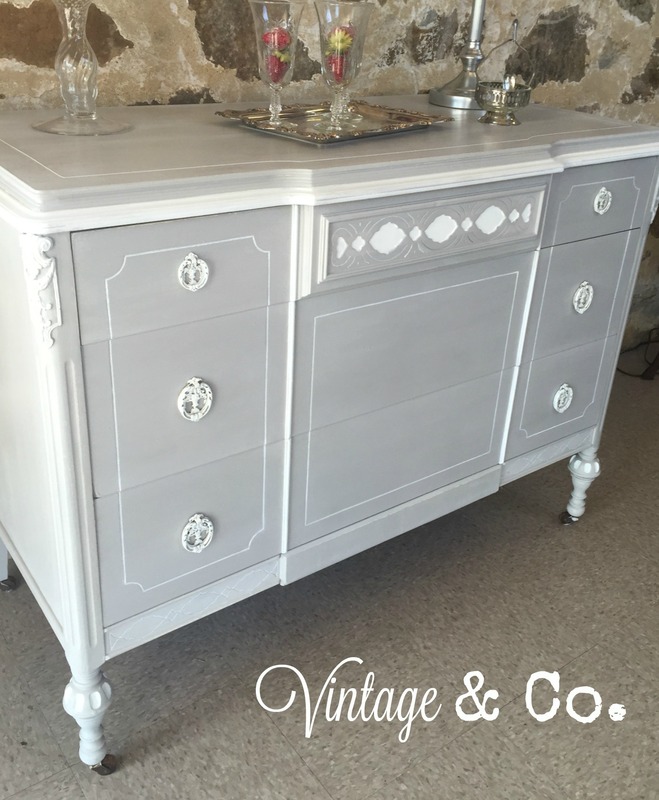 taking something old and making it new again. created…. the menu/grocery board was fun, too. an immediate hit and wish we had another. 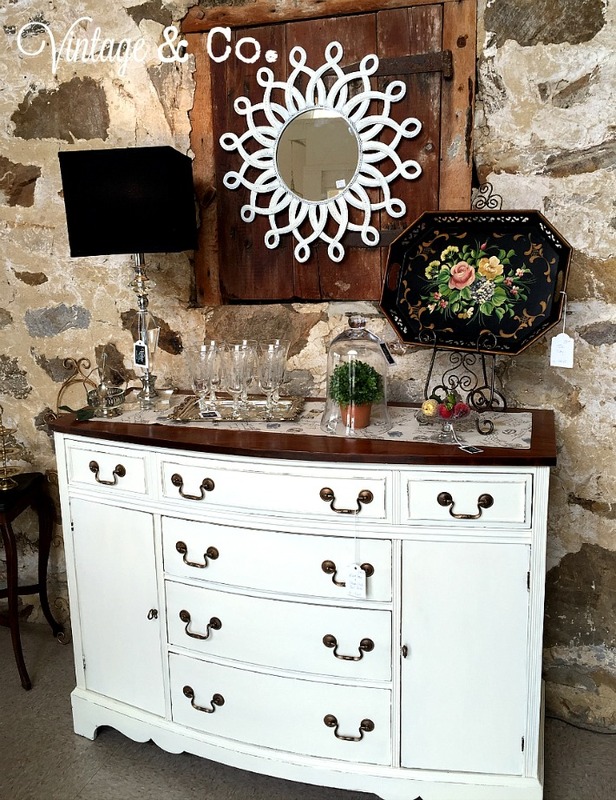 The cream colored buffet with the stained wood top was gorgeous! 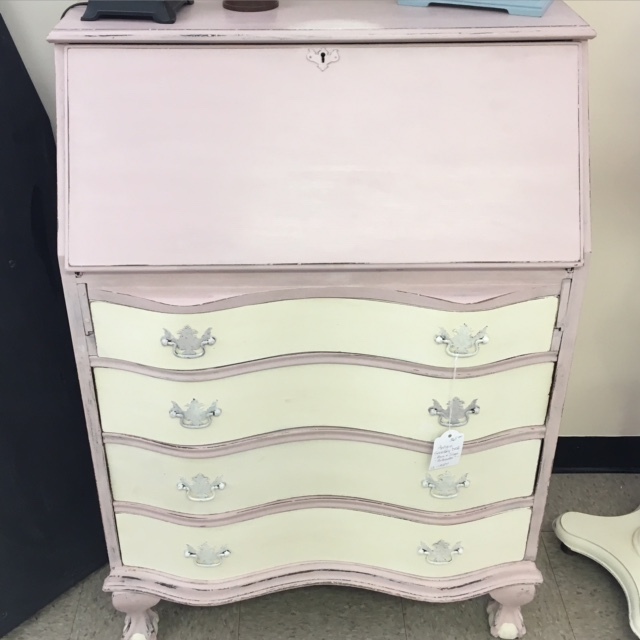 This lovely pink secretary desk was our “Annie Sloan” beauty. Very thrilled with the results. was one of my top favorites. to all who managed to link up! 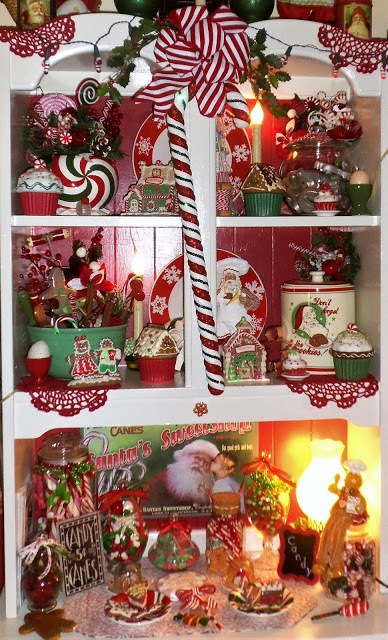 candy kitchen for the holidays. 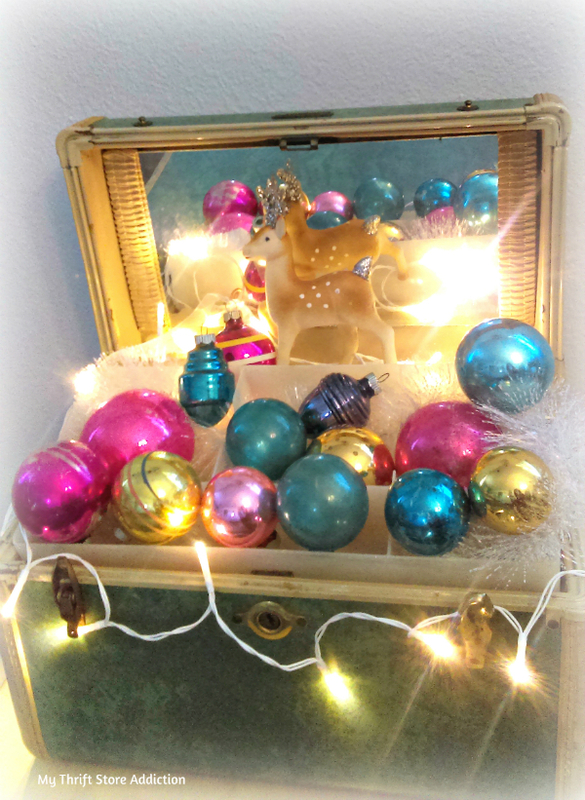 beautiful and charming Christmas ornaments! I think they are adorable. This star is just one of them. desktop or other file folder. Thanks so much for the party and thanks so much for the feature!! I will be giving you a Shout Out on google + and in my next post!! 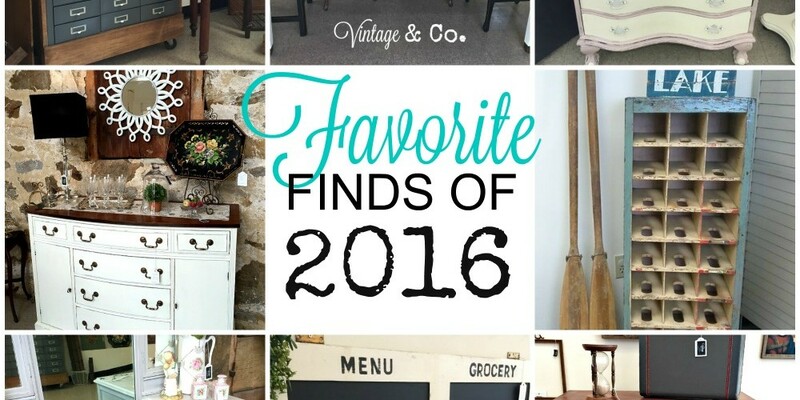 Hi Jillian, you definitively found some nice pieces last year! 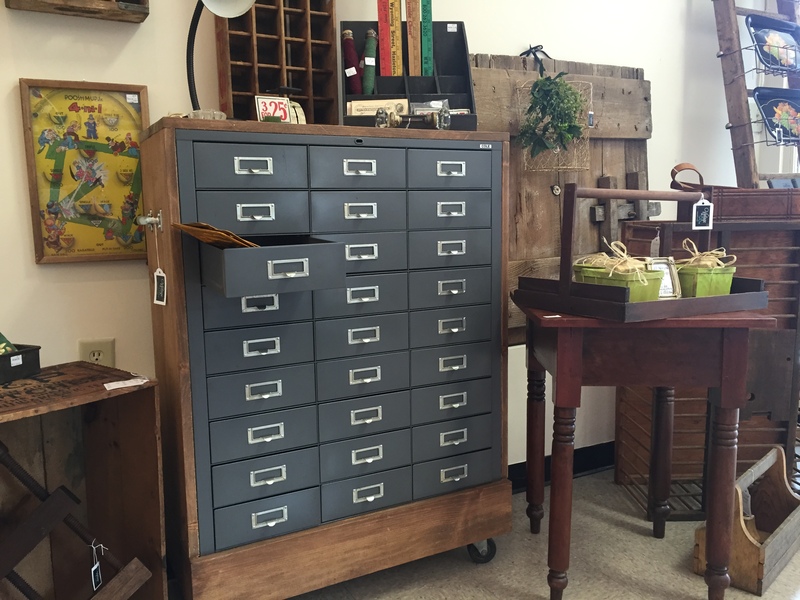 My favorites are the rolling, multi drawer industrial cart and the “seed sorter”. 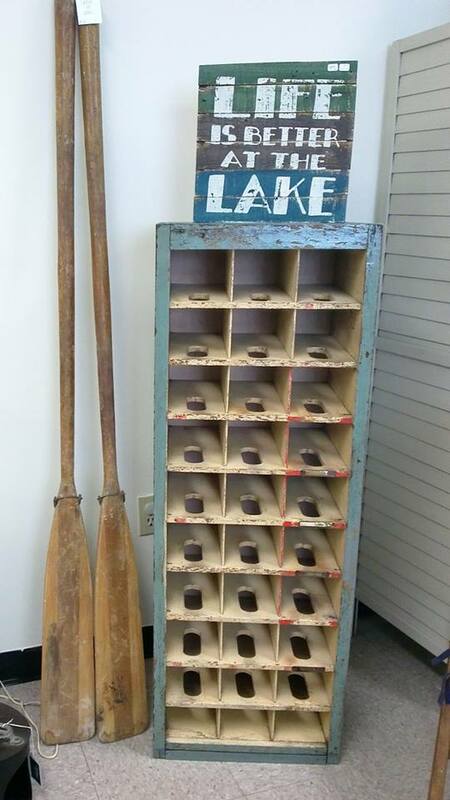 I could see both become inventory of my house ;-)! I bought predominantly vintage and antique china last year and one of the pieces that is particularly dear to me is the small brown transferware tureen that I featured filled with red apples in my Christmas post, that I have linked to your blog party. I love the delicate pattern and the small size of the tureen. I can see myself getting some more brown and blue transferware this year. They just speak to me! Wishing you a wonderful 2017! 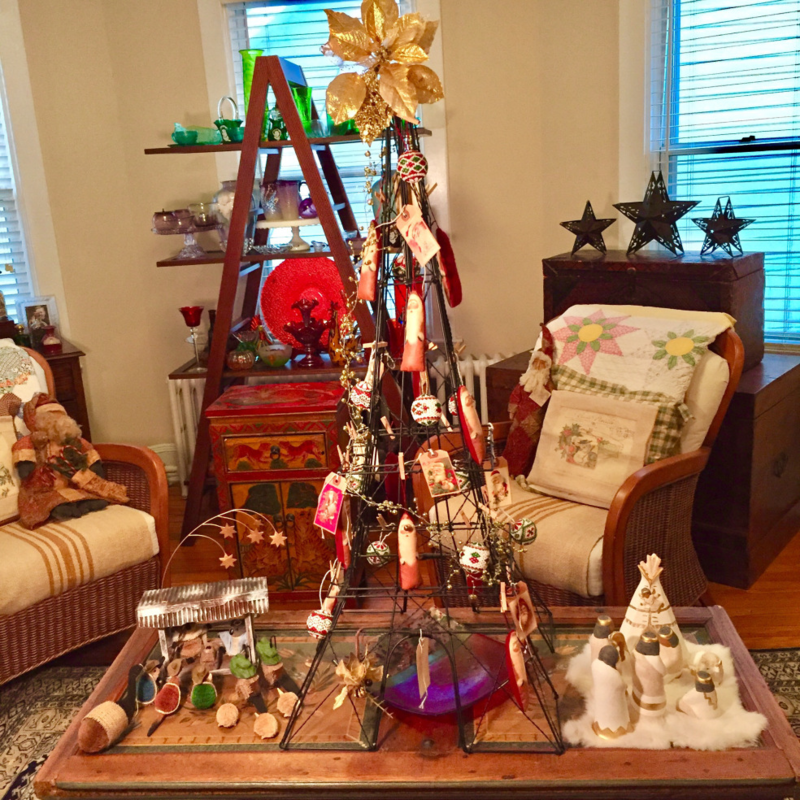 Thanks for hosting your blog party! Hi Jill, I tried to link up but messed up and when tried to do it again said it was already linked but I’m not seeing it. I’ll check again later. Happy New Year! 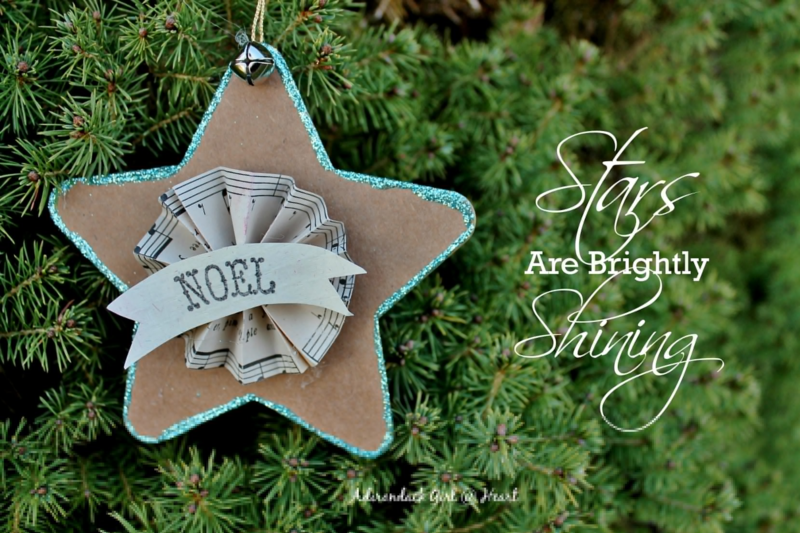 Hi Jillian, thanks so much for the feature & Happy New Year! 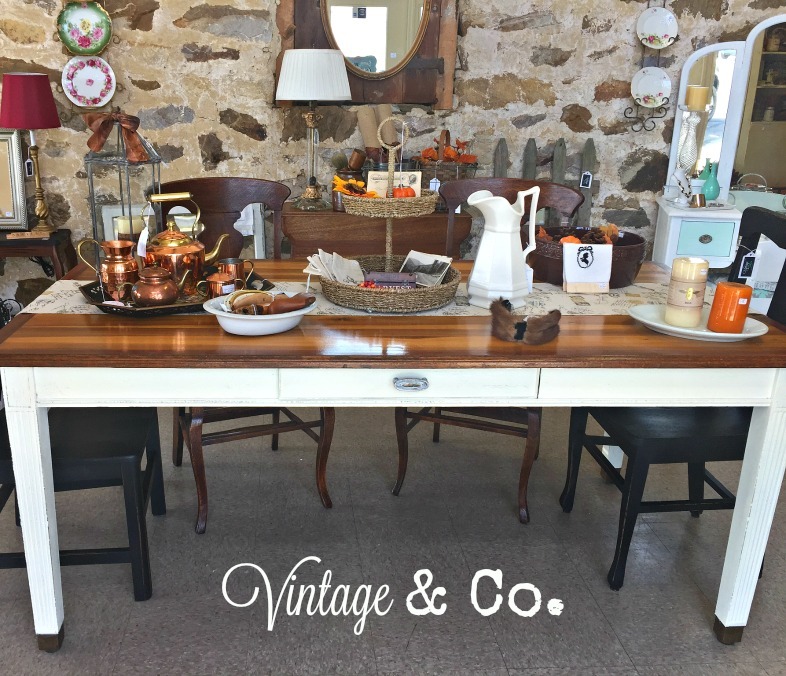 ← Happy New Year from Vintage & Co!